Lenoir was promoted to the Cowboys' active roster Tuesday, Calvin Watkins of The Athletic reports. Analysis: Lenoir's promotion from the practice squad comes on the heels of Allen Hurns' (ankle) move to injured reserve. Lenoir will likely be last on Dallas' receiver depth chart, but with Cole Beasley (ankle), Tavon Austin (groin) and Noah Brown (illness) all missing practice time, there's a chance he could move up the pecking order slightly come Saturday's divisional-round game against the Rams. Cowboys head coach Jason Garrett said Lenoir is a candidate to be promoted from the practice squad to the active roster with Allen Hurns (ankle) injured, Todd Archer of ESPN reports. Analysis: The Cowboys are moving on in the playoffs, but Hurns' season is over after the receiver sustained a severe ankle injury during Saturday's wild-card game against Seattle. While Lenoir appears to be the next man up, it's unlikely he'd earn many targets Saturday against the Rams while serving as nothing more than a possible No. 5 or 6 receiver on the depth chart. Lenoir was waived by the Cowboys on Monday, Brandon George of The Dallas Morning News reports. Analysis: Lenoir was waived to make room for C.J. Goodwin (forearm) on the 53-man roster. The Cowboys reportedly intend to sign Lenoir to their practice squad if he goes unclaimed on waivers. 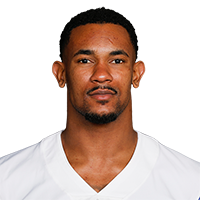 Lenoir (illness) is listed as active for Sunday's game against the Colts, Brandon George of the Dallas Morning News reports. Analysis: Lenoir was unable to practice Friday due to an illness, but has recovered enough to suit up Sunday as he figures to serve primarily on special teams. Lenoir didn't practice Friday due to an illness and is questionable for Sunday's game versus the Colts, Jon Machota of The Dallas Morning News reports. Analysis: Lenoir has played in five games this year but totaled just six offensive snaps and no receptions. If he sits out, the Cowboys will have five other healthy wideouts, not including Tavon Austin (groin), who is listed as questionable. Lenoir was activated to the Cowboys' active roster from the practice squad Friday, David Helman of the Cowboys' official site reports. Analysis: Lenoir was activated to the active roster last December, but only played five snaps on special teams and was placed on the practice squad again. The 23-year-old will fill one of the two vacancies left on the roster after fellow wide receiver Deonte Thompson and defensive back Treston Decoud were released. There are no videos available for Lance Lenoir. Click here to view all videos.